A man who the FBI says wanted to help cause carnage 10 times worse than the Boston Marathon outrage has appeared in court accused of helping to plan a Presidents' Day terror attack on buses, trains and a station in Kansas City. 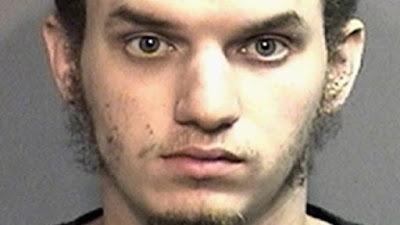 Robert Hester, 25, was charged in federal court in Kansas City with attempting to provide material support to a foreign terrorist organisation. Hester, of Columbia, Missouri, was arrested on Friday when he arrived at a meeting with who he thought was an Islamic State sympathiser, but was in fact an undercover FBI agent. The arrest was made public after Hester made his first court appearance on Tuesday, during which a judge ordered him to remain in custody. A criminal complaint said federal agents began investigating Hester in August 2016 after receiving tips about social media posts in which he said he had converted to Islam and expressed hatred for the United States and a tendency towards violence. Undercover FBI agents contacted Hester, first online and then in several face-to-face meetings, to discuss whether he wanted to participate in a terrorist attack. During those contacts, Hester "expressed his interest in and exhibited his willingness to commit violence in support of a foreign terrorist organisation", according to the complaint. Hester, a married father-of-two who served less than a year in the US Army, also provided materials such as roofing nails, batteries and other items that he was told would be used to build bombs for the attack, the complaint said. He also was shown weapons and was told several backpacks containing explosives would be placed in different locations in Kansas City. The undercover agent told Hester the supposed terrorist organisation was planning on "killing a lot of people" in an attack "10 times more" severe than the Boston Marathon bombing, according to the complaint. Hester approved of the plans and rejected the undercover agent's offer to walk away if he did not want to take part, the complaint said. Hester communicated five times in early February with an undercover employee via an encrypted messaging app, saying he was "happy to be part" of the plan and predicting the day of the attack would be "a good day for Muslims", the complaint said. On February 17, Hester met another undercover employee and provided more nails before they went to a building where Hester believed the components would be stored, the complaint said. He was arrested shortly afterwards. On October 3 last year Hester was arrested in Columbia in an unrelated case after he allegedly threw a knife through a store window and threatened an employee during an argument with his wife. He pleaded guilty to one count of felony property damage and one count of unlawful use of a weapon and was released on his own recognisance until sentencing, which was scheduled for March.